The 2010 quote by Matt Cutts was an early implication of the extent to which the search ecosystem was bound to change over the next few years. Indeed, the field kept developing, always raising the bar for content quality and online marketing innovation. Correspondingly, as search algorithms advanced, webmasters and their client companies needed to rethink most of their strategies in order to climb the SERP ladder. Considering such a rapid pace of change, it is easy to see why there is still so much space for making mistakes even in companies that have been focusing on SEO for years. For it is not only black-hat and otherwise manipulative techniques that can take a website down in search; some unintentional mistakes that keep reappearing on the web are frequently a reason websites aren’t seeing any advancements. 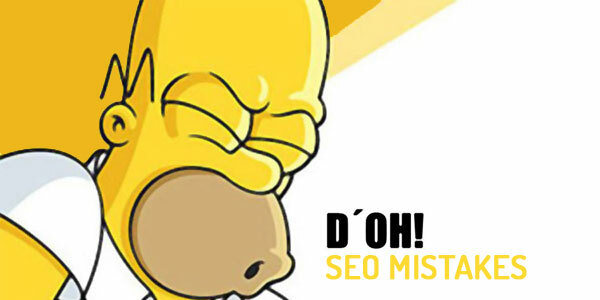 The long history of Google’s updates has brought multiple unfortunate search scenarios even to some of the world’s top websites and these are perhaps the best examples of a damage inappropriate SEO strategies can lead to. Namely, few years ago, when Google search was mostly a field of exploration, many companies believed they could improve their rankings by trying to outsmart the engine. However, not even the giants such as BBC, Washington Post and Engadget could go away without a punishment for using forbidden techniques. When BMW was given a death penalty by Google and was removed from the face of web for three days, it became clear that even the largest SEO budgets would take you nowhere if they are not directed to the right channels. Even though this was in the early stages of SEO growth, some companies still believe that using outdated techniques is the right way to achieve better rankings. However, with Google closely watching your efforts, it is virtually impossible to build a reputation in an unnatural way. Therefore, you need to carefully plan your strategy and make sure you never make any of potentially devastating mistakes that can kill your rankings and thus hurt your business. Below, we’ll list some of the most serious issues that require your attention even before you start planning a content strategy. The emergence of content marketing can be seen as a natural evolution of SEO techniques that followed the rules Google kept imposing on web masters. Even though content marketing has existed for decades, it only recently started to be associated with SEO as one of the key factors of successful online expansion. Today, it could be said that content generation is the driving force in the world of web marketing, and is also a strategy that needs to be integrated with SEO efforts. In a 2013 video, Matt Cutts explained why the balance between these two is the greatest possible way to improve search rankings, suggesting that a focus should be on creating compelling content rather than just link building. Indeed, over the last few years, we have seen a rapid growth of inbound marketing whose main idea is first to come up with value proposition and then worry about building links. This view is supported by a recent research by linkbird, which revealed that a growing number of businesses are turning to a holistic approach to SEO and internet marketing. According to the study, 10% of companies state that combining SEO and content strategy is one of the greatest challenges they are seeing in their online marketing efforts. Certainly, content strategy does involve making different decisions regarding budget planning and implementation and this is what makes it a complex business area. On the other hand, given that most respondents report significant benefits from such an approach, SEO and content integration is definitely an efficient way to do online marketing in the modern age. Producing relevant content is not only a way to engage audience and establish authority, but also a path to building natural links. Namely, with an established editorial schedule and occasional industry publications, your website is more likely to generate leads and eventually links from relevant websites. 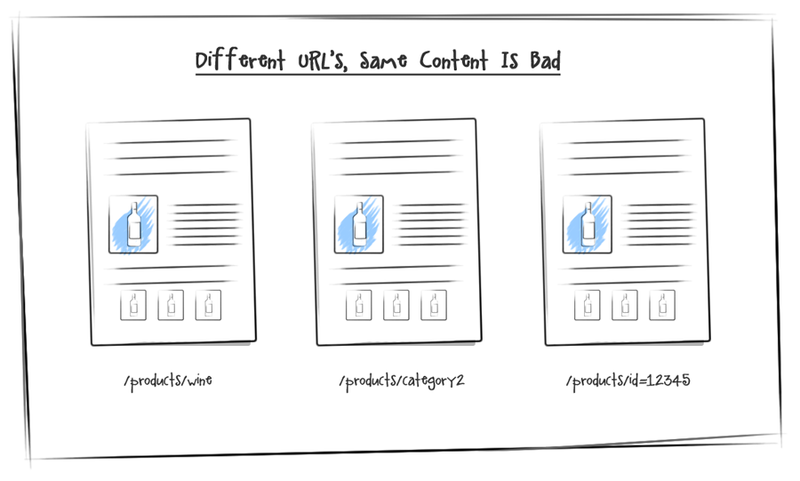 Therefore, content strategy may be also seen as a key to generating quality backlinks and avoiding potentially spammy techniques. As one of the signals that tells Google what your business is about, your website’s backlink profile should not only look natural, but actually be natural, which you can only achieve by strategic content placement. Unfortunately, aggressive and unnatural link building is still one of the most frequent mistakes businesses make when trying to improve their online reputation. Here, two specific issues that can harm the website’s reputation are anchor texts stuffed with exact match keywords and aggressive guest posting whose aim is to get links rather than build authority. Both, however, have become techniques search engines are not particularly fond of and should therefore be avoided. Instead, a recommendation is to combine multiple link building strategies and create content that can be distributed through a variety of different channels. 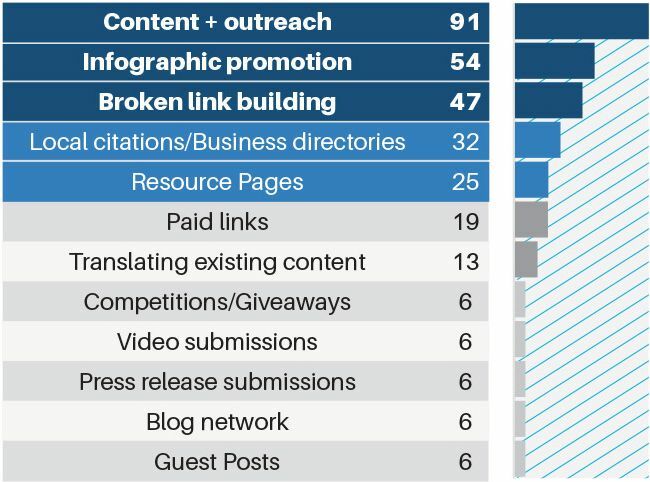 Last year’s survey by Moz gives an overview of strategies that are found to be most effective by 315 people who participated in the survey and these are obviously the ones you should focus on to ensure the best quality of your backlinks. Most website owners are familiar with the fact that duplicate content can not only hurt search rankings but also lead to a penalty. However, even today people are not quite sure what duplicate content really means and how to solve possible issues with it. Google’s guidelines on duplicate content give an overview of best practices to handle pages with similar or identical content, yet most SEO experts say that the lack of canonicalization for duplicate pages is one of the most frequent mistakes they are seeing. This is because webmasters often tend to forget to include the right tags to pages that point to similar content, especially in cases when a website is transferred to a new domain. Page load speed largely determines how people see your website and is an important factor in website optimization. Although the web has been buzzing about the importance of website’s speed performance for general user experience, recent studies point to the fact that there a worryingly large number of pages still doesn’t perform well in this aspect. As revealed in Portent study that looked at 94 million page views across 16 ecommerce websites, 50% of websites take five or more seconds to load. With an average user leaving a page if it doesn’t load in 3 seconds, it is clear why this is bad not only for ecommerce, but for all the other websites too. As an aspect that plays a great role in user experience, page load speed does have some effect on search rankings. Even though it is one of 200 of signals Google takes into account when considering your website and not the one you’d be penalized for, optimizing page load time is certainly a way to make your visitors love your website. In relation to introducing page speed as a ranking factor, Matt Cutts points out that this is intended to raise awareness among webmasters about the importance of optimizing for excellent user experience. Besides, this is one of the things that can be improved relatively easily, which is what makes it even more important. One of the issues that is still dominant today is the tendency to choose fast results over those that can bring long-term benefits. Most businesses already know that AdWords campaigns can deliver fast and easily measurable results, which is what makes them a dominant priority in online marketing. In a BIA/Kelsey study, 60.6% of SMBs stated they were investing in this type of advertising because it brings instant results. However, such results cannot always be seen with other forms of SEO that fast. Link building, content creation and developing authority online are all activities that take time and effort. Yet, these are the ones that are more likely to establish a brand as an authoritative information resource across different industries. Â This is confirmed in aÂ HubSpot report that, among other things, revealed that business websites with 401-1000 pages get 6x more leads than those with 51-100 pages.Â Furthermore, companies that heavily invest in inbound marketing are seeing increased benefits from combining multiple growth strategies, which is another implication that long-term work pays off more. Of course, to build a website that is a true lead generation and conversion machine, small businesses sometimes need months or even years. This is why often it is a good idea to outsource certain services from a reputable SEO agency and thus define the right pace of development for your business. Obviously, the fact that only 5% of businesses ever try to eliminate the devastating effects of a penalty is quite alarming and can perhaps be attributed to inconsistent performance tracking. Therefore, regular checks or onsite audits can help you avoid a penalty in the first place because they give you an opportunity to react immediately if you detect any deviations. To rule the world of Google search, one needs to work constantly and be ready to introduce new techniques on a regular basis. This is essentially important in the era of tough search competition, when only a perfect balance between content marketing and SEO efforts can bringÂ loyal readership and, therefore, loyal customers. Clearly, making any of these seven mistakes can hurt more than your rankings; it can hide you from the eyes you’re trying to reach and thus impede the progress of your business.